It’s also worth noting Benson was the first American writer to take the tiller of the Bond franchise. He held the position from 1997 to 2003. During that time, Benson authored six original 007 novels, plus a number of motion picture novelizations and a handful of short stories. Though the choice of Benson as Gardner’s successor was controversial at the time, Benson was not new to the Bond franchise. 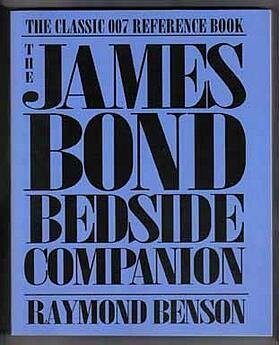 In 1984, he authored the The James Bond Bedside Companion, an encyclopedic compendium of the Bond world including the novels, short stories, and films. As something of a 007 completist, Benson not only entered the 007 landscape at a time when the Bond films were experiencing a massive resurgence in popularity, but he also helped pave the way for 007 to exist and thrive in a new era with a new generation of fans. And it all began with Zero Minus Ten. Zero Minus Ten opens as Hong Kong is being transferred from British control back to the People’s Republic of China. As the handover of power nears, Bond is given ten days to investigate a series of minor terrorist attacks within the region that have the potential to disrupt the transfer of power. At the same time, quite coincidentally, a nuclear device is detonated in the Australian outback, further complicating the transfer and heightening the stakes of the moment. In Hong Kong, Bond’s investigations lead him to hone in on shipping magnate Guy Thackeray, whom Bond catches cheating during a card game at a casino in Macau. Later, Bond attends a press conference where Thackeray announces the sale of his company, EurAsia Enterprises to the Chinese in light of an agreement that stipulates the company must revert to the ownership of Li Wei Tam should Hong Kong ever be returned to Chinese control. Immediately following the ownership shift announcement, Thackeray is killed in a car bomb, which sends Bond on a new facet of his mission: to investigate Thackeray’s murder. Through a series of connections within the Chinese government, Bond begins investigating Li Xu Nan, the head of The Dragon Wing Society and descendant of Li Wei Tam. Li’s secret identity is put in jeopardy by the actions of a hostess, Sunni Pei, whom Bond is then forced to protect from attempts against her life. When Pei is finally captured some time later, 007 strikes a secret deal to secure her freedom whereby he is to travel to Guangzhou to retrieve long-lost documents granting Li Xu Nan ownership of EurAsia Enterprises upon the exchange. Bond, whose cover is blown, eventually retrieves the documents and returns them to Tam to secure Pei’s freedom. Since Li Xu Nan now owes Bond, Bond leverages Li's contacts to investigate EurAsia Enterprises and find a link between it and the Australian nuclear blast. Upon arriving in Australia to conduct the investigation, Bond discovers Thackeray is actually alive and has been working to make his own nuclear device for detonation in Hong Kong. Bond and Li Xu Nan return to Hong Kong and quickly discover the location of Thackeray’s bomb and disarm it. In the process, Nan is killed, and in a final battle, Bond drowns Thackeray in a downtown Hong Kong harbor. Originally composed under the working title No Tears for Hong Kong, Zero Minus Ten opens with Bond in Jamaica at a newly purchased estate called Shamelady, which is said in the novel to be formerly owned by a popular British journalist and author — a nice homage to Bond’s creator Ian Fleming and his infamous Goldeneye estate where all his 007 novels were composed and edited, and one of just a handful of references Benson makes throughout the novel as a nod to 007’s past. Part of what enticed Benson to take command of the Bond novels was the freedom from his publisher to remain as loyal to the Bond canon as he felt comfortable doing. This latitude allowed Benson to cherry pick critical continuity elements of previous Bond novels while at the same time forging new pathways of discovery in terms of where the character, plots, and contexts could go. 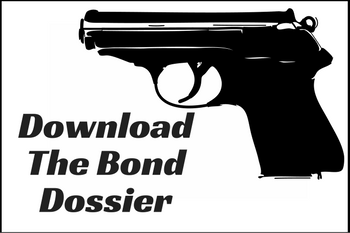 As such, Benson walked a fine line between old and new by returning Bond’s trademark Walther PPK as well as reassigning 007 the rank of Commander even though Bond has been promoted to Captain in John Gardner’s novels. 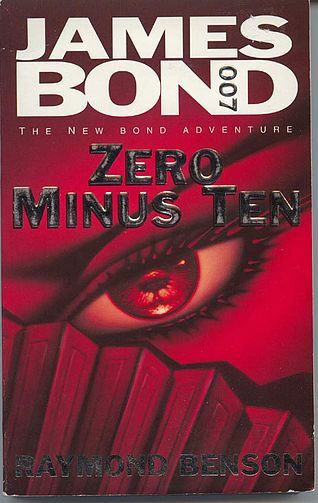 First hardcover editions of Zero Minus Ten were originally published in the United States in May 1997 while first U.K. hardcover editions were released a month prior; the novel also saw paperback releases in both countries about a year later. 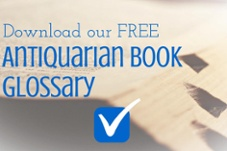 Hardcover editions were released in the U.K. by Hodder & Stoughton (a shift from Glidrose publications who oversaw Gardner’s novels) and Putnam in the United States market. 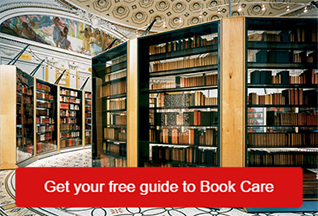 Collectors can note the cover artist in order to determine whether their novel is an original hardcover edition (graphic artist David Scutt created the cover art for both editions). In addition, subsequent paperback editions in the U.K. and United States opted for variations on the original cover art, which usually fetch substantially less in auction or retail settings.